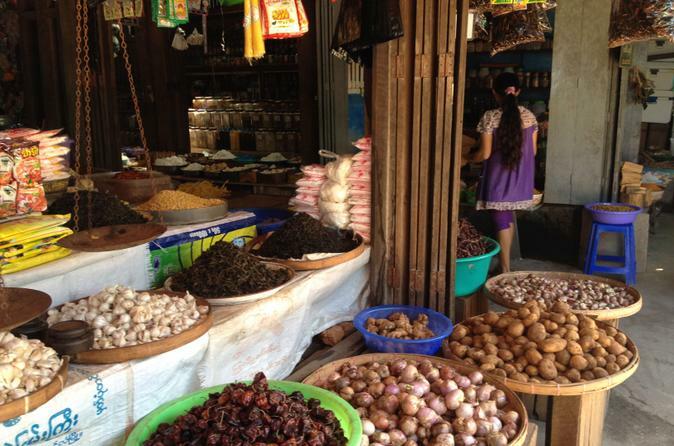 Travel beyond the Yangon city center as you ride the rails with an informative local guide! Aboard the circular train, a commuter rail network that loops around the entire metropolitan area, you’ll discover suburban neighborhoods and satellite towns rarely seen by tourists. Experience colorful markets, fascinating shops and spiritual sites along the 39-station route, including Chinatown and Little India. Numbers are limited to 12 people, ensuring an intimate experience with a small group. 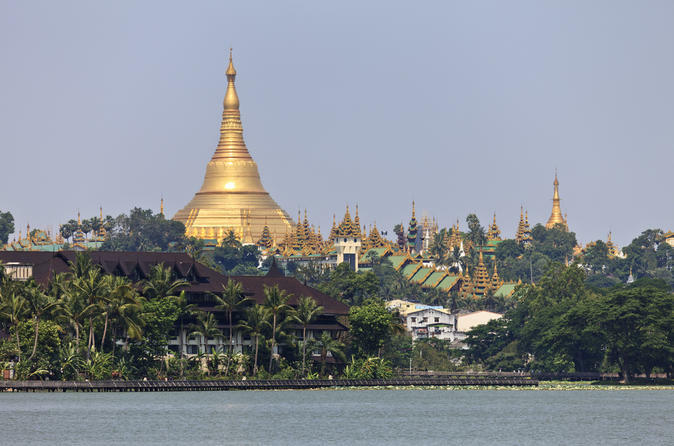 Explore Yangon, the former capital city of Myanmar (Burma), on a full-day sightseeing tour! Led by a professional guide, you’ll gain insight into the life of the local people during an eclectic tour that combines history and architecture with religion and lifestyle. Discover many facets of this vibrant city, including markets, colonial buildings and lovely lakes. Enjoy complimentary lunch, a drink at the Strand Hotel, round-trip hotel transport and a ride on the circular train. Numbers are limited to 10 people, ensuring an intimate experience with a small group. Find out what lies behind the golden façade of Shwedagon Pagoda on a half-day walking tour to the gilded stupa. Your knowledgeable guide will take you on a discovery of hidden gems, including monasteries and markets, as you learn about Buddhist religion and observe the daily lifestyle of local dwellers. 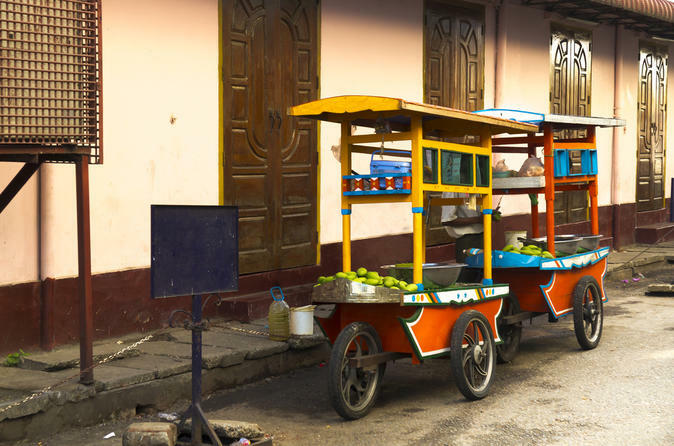 Your interactive tour includes a traditional Burmese breakfast, offerings to monks and the pagoda, a visit to a fortune-teller and a Burmese lunch. Numbers are limited to 15 people, ensuring an intimate experience with a small group. 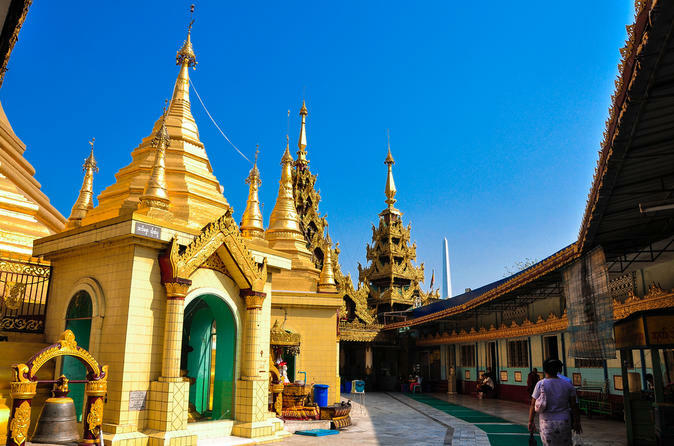 This half-day Yangon tour with a knowledgeable guide immerses you in the local life of Myanmar (Burma), which has a fascinating history infused with rich cultural traditions. Explore some of the city’s iconic attractions, including a pagoda, park, museum and market. 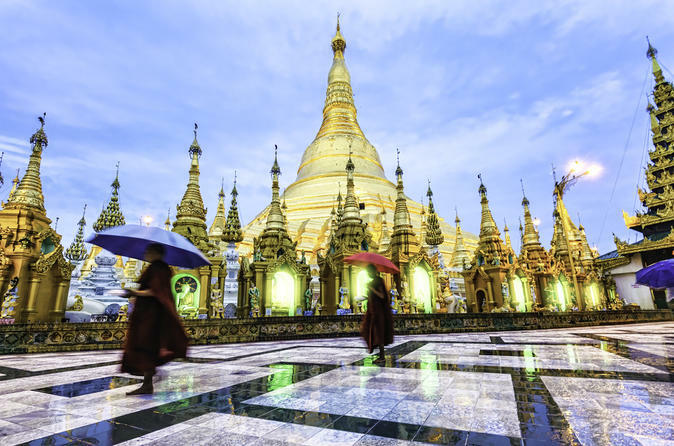 You’ll visit the Aung San Museum, wander through a local residential neighborhood and the beautiful Kandawgyi Park, and marvel at the beauty of the Shwedagon Pagoda with its golden dome. Numbers are limited to 12 people, ensuring an intimate experience with a small group. 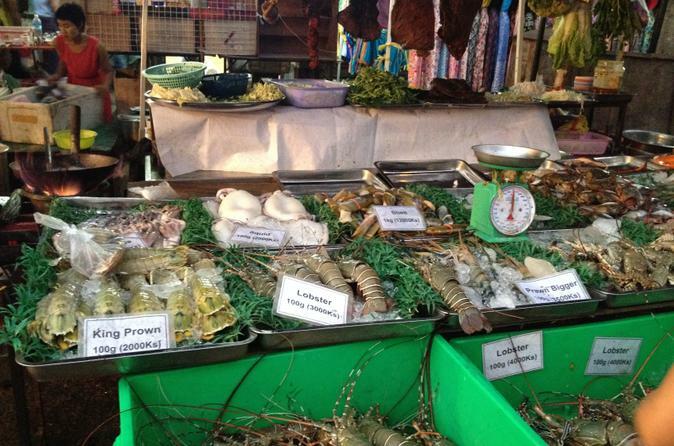 Experience downtown Yangon as the locals do on a 2.5-hour walking tour of the night markets. Shop, browse, eat and revel in the ambiance of this vibrant city as a guide leads you through the main market district, a tangle of small lanes where few visitors go. Check out an array of boutiques and street vendors selling all kinds of products, stop for tea or a cold drink, and then end the evening at an outdoor food market where you can sample snacks and beer. 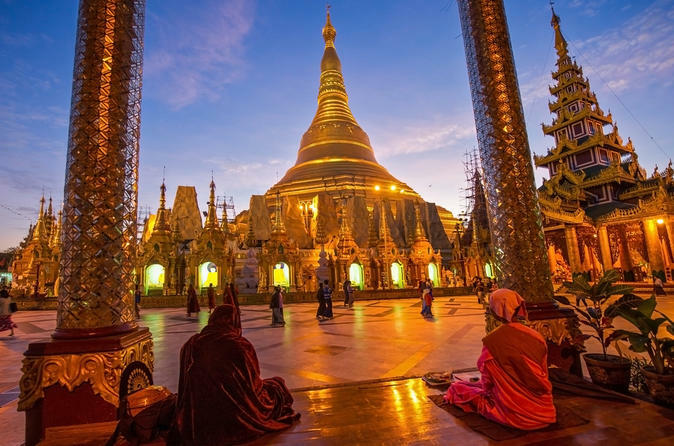 Your private 3-day tour of Yangon introduces you to the magnificent Shwedagon Pagoda, whose golden dome was once decorated with precious stones. Discover the gilded stupa after sunset, and return the following day on an interactive walking tour to observe daily life behind the scenes, including giving offerings to monks and visiting a fortune-teller. With your knowledgeable guide you'll gain insight into the city’s colonial past on an architectural walking tour of beautifully restored buildings. Exploring Pegu (Bago), the capital of Mon Kingdom, highlight such as Kyakhatwine Monastery where thousands of monks are study and live, the reclining Shwetharlyaung Buddha image, Shwemawdaw Pagoda and Kyaikpun Pagoda. 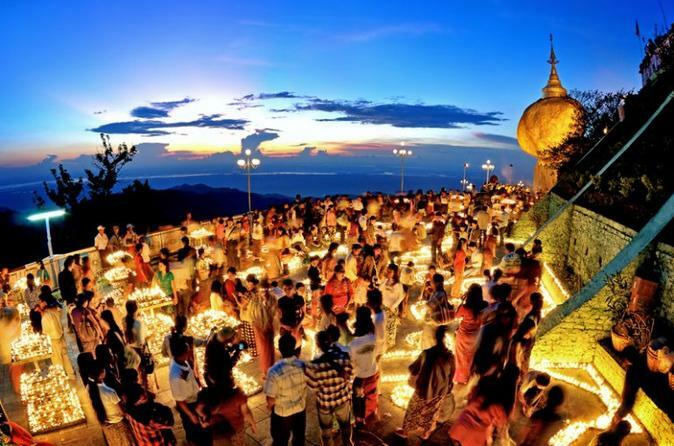 Enjoy exciting truck ride to Kyaikhteeyo Pagoda (Golden Rock) and overnight in one of the most religious cultural places of the region. Leave Yangon on a 5- to 6-hour tour that takes you to the potter artisans of Twante and the Shwesandaw Pagoda and provides a taste of rural Myanmar along the way. With a knowledgeable guide, catch the ferry from the city and travel along the Twante Canal. Stop at traditional pottery workshops and try your hand at working with clay, and then walk up to Shwesandaw Pagoda to soak in breathtaking views. Relax over lunch at a local restaurant, and browse the local market before hopping back on the ferry.